Following is the calender of events for this year organized by TCSBC. We urge you to give your full support for each and every event. 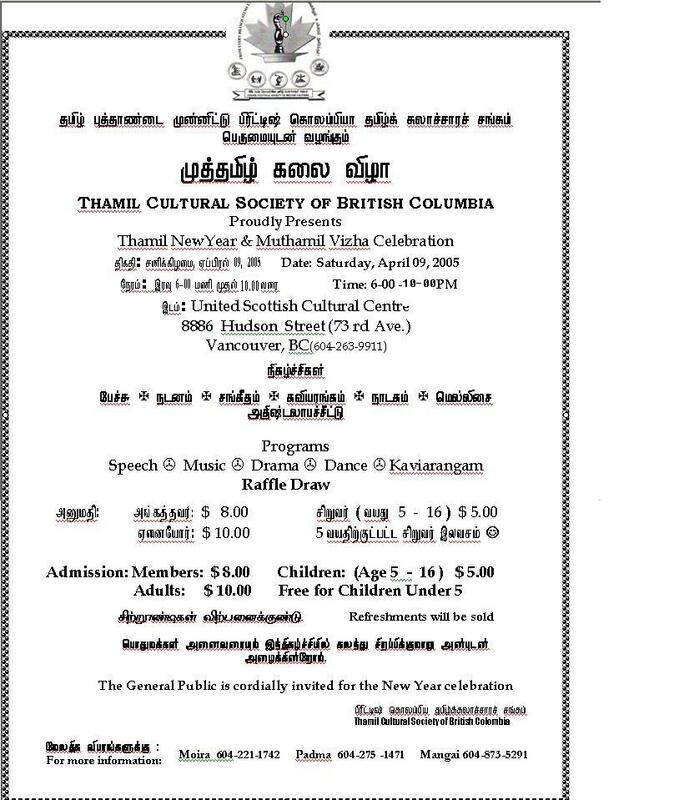 The venue and changes if any in the date will be announced on our news line, 604 277 1840. Kindly listen to the news on a regular basis for Society's activities. "Osteoarthritis/Osteoporosis, differences, similarities, and management" presented by Dr. Bruce Clark. Multipurpose Room, Seniors Centre, Kerrisdale Community Centre, 5851, West Boulevard, Vancouver. United Scottish Cultural Centre, 8886 Hudson Street, Vancouver.